Chimpanzee: a type of ape that is smaller than a gorilla and that lives mostly in trees. Non-invasive: not tending to penetrate or destroy healthy tissue. Parkinson's Disease: a neurological disease that mainly affected older adults that causes tremor of resting muscles, rigidity, slowness of movement, impaired balance, and the ability to walk. System: a set of connected things or parts that together form something more complex. Why Do Scientists Study Animals? Scientists and others have many reasons for why it can be both good and bad to use animals for research. In the table are examples of both sides of this debate. And below we provide more details for each side. Animal research can benefit both humans and animals. In humans, this work has helped doctors create treatments we use in our daily lives, like cold or pain medication. In animals, this work has helped to develop vaccines to protect animals from conditions like rabies, and canine parvovirus. Because most animals will not benefit from being research subjects and cannot volunteer, many people argue it is wrong to use animals in this way. Protocols in animal testing can be painful to the test subjects and may involve using protocols that can cause permanent damage or kill an animal. While this table is incomplete, it gives a brief example of some of the reasons for why scientists and the public agree and disagree with using animals for research purposes. Below we provide a bit more detail on these positions. The human body is very complicated, and many scientists believe that a living system is the best way to study it. Image from PLoS Biology Vol. 4, No. 2, e29. The cells, tissues, and organs of the human body work together in very complex ways. When scientists test a research question they want to test their ideas on a system that is as much like that of human bodies as possible. So far, a living animal has been a better model of the human body than what other laboratory techniques can provide. Chimpanzees and mice (and other animals, too) do not look very much like humans, but it turns out that their DNA is very similar to that of humans. This makes humans and animals biologically similar, and they can sometimes be affected by the same health problems. Scientists take advantage of this similarity and use animal models to test their research ideas. Scientists also tend to work with animals that have shorter life spans than humans. For example, laboratory mice may only live for 2 to 3 years. In contrast, humans can live upwards of 80 to 100 years. The shorter lifespan of animals gives researchers an opportunity to study different questions over an entire lifetime rather than a very small portion of it. 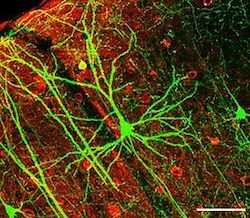 This can help study diseases like Parkinson’s, which may not develop until a person has been alive for 40 to 50 years. 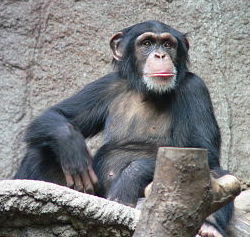 Some people believe that using animals, like the chimpanzee shown here, for research is a bad idea because humans and other animals have different physiology. Image by Thomas Lersch. Some people also believe that, even though animals have similar biological systems to humans, they still may not make good models for many research questions. Some studies1 have reported that even after doing a lot of animal research on a topic, it may remain difficult to use the findings of these studies in other contexts, like in a human or other animal. Testing of the sleeping pill thalidomide is an example of this. It was tested on pregnant rats, mice, cats and guinea pigs to help sleeping without any bad side effects. But, when administered to pregnant women, it actually had many negative effects on their children. The opposite can also be true. Experiments may show that a certain protocol is harmful to animals. But it may turn out to have positive effects in humans. Aspirin is an example of this. It was shown to be dangerous to animals, but many people now find it to be a useful medication. Others argue that even if we can use animals for research, there are always other alternatives to use in place of animals. These might include using computer models, cell cultures, or finding non-invasive methods that can be used on humans. Similarly, many argue that using these alternative methods is cheaper than using animal models. There is still no consensus on whether it's ok to use animals in research, and so scientists and the public continue to discuss and debate this topic. This has led to decisions about what animals should be used in research, and also the establishment of rules and regulations for how those animals will be treated while in this setting. Additional Images via Wikimedia Commons. Honeybee photo by Fir0002. No matter how large or small an animal is, there are both advantages and disadvantages to using it for research purposes.